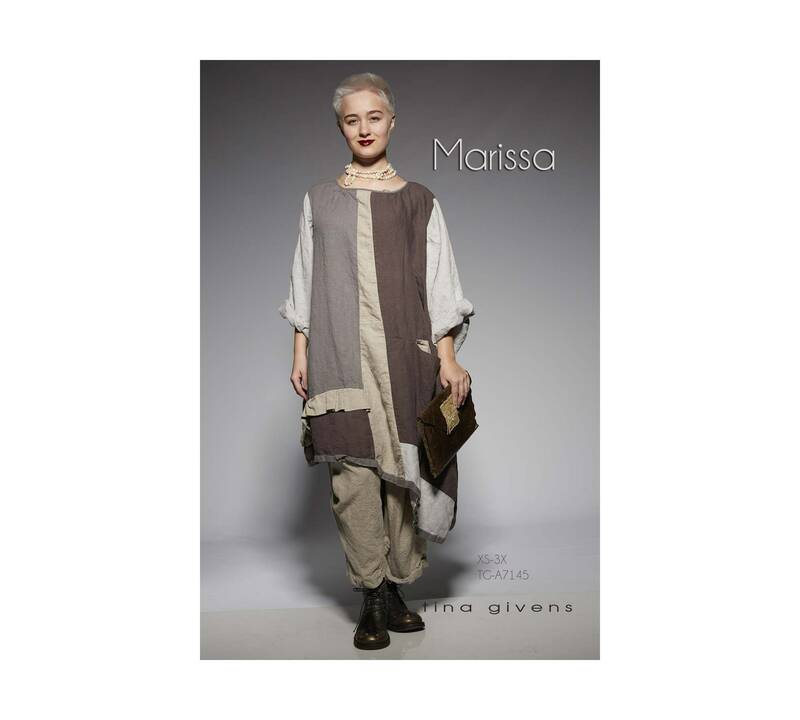 Marissa is a unique tunic made in 4 different colors as shown. Or make it in one color. Oversized, beautiful loose, fitted sleeve, pocket and side ruffle for fun. Add lace to make it delicate, or all in black for an urban look. 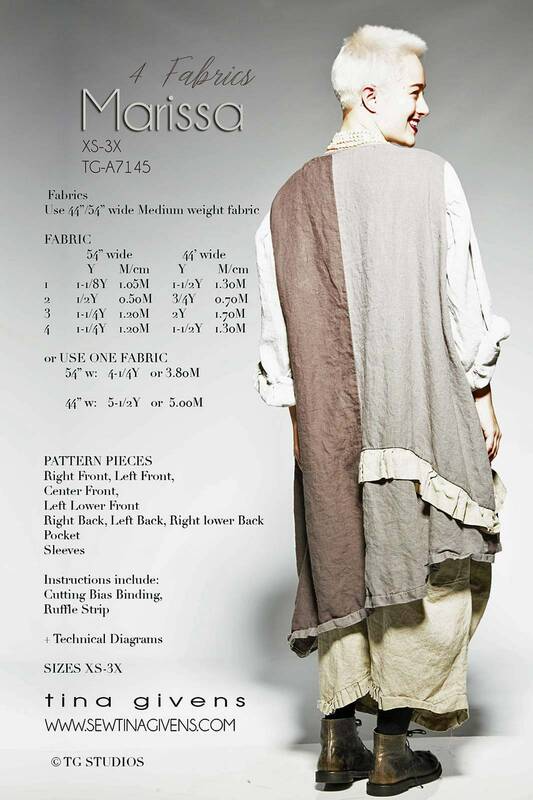 ** The pattern is printed with number 7145, but Tina Givens also calls it 7144.